3700301 805 JCB 805 Crawler excavator. Spare Parts Catalog. Service (workshop) Manual. Operator's Instruction Manual. 3700302 806 JCB 806 Crawler excavator. Spare Parts Catalog. Service (workshop) Manual. Operator's Instruction Manual. 3700303 807 JCB 807 Crawler excavator. Spare Parts Catalog. Service (workshop) Manual. Operator's Instruction Manual. 3700304 808 JCB 808 Crawler excavator. Spare Parts Catalog. Service (workshop) Manual. Operator's Instruction Manual. 3700305 811 JCB 811 Crawler excavator. Spare Parts Catalog. Service (workshop) Manual. Operator's Instruction Manual. 3700306 812 JCB 812 Crawler excavator. Spare Parts Catalog. Service (workshop) Manual. Operator's Instruction Manual. 3700307 814 JCB 814 Crawler excavator. Spare Parts Catalog. Service (workshop) Manual. Operator's Instruction Manual. 3700308 817 JCB 817 Crawler excavator. Spare Parts Catalog. Service (workshop) Manual. Operator's Instruction Manual. 3700309 818 JCB 818 Crawler excavator. Spare Parts Catalog. Service (workshop) Manual. Operator's Instruction Manual. 3700310 820 JCB 820 Crawler excavator. Spare Parts Catalog. Service (workshop) Manual. Operator's Instruction Manual. 3700311 805B JCB 805B Crawler excavator. Spare Parts Catalog. Service (workshop) Manual. Operator's Instruction Manual. 3700312 805B Turbo JCB 805B Turbo Crawler excavator. Spare Parts Catalog. Service (workshop) Manual. Operator's Instruction Manual. 3700313 806B JCB 806B Crawler excavator. Spare Parts Catalog. Service (workshop) Manual. Operator's Instruction Manual. 3700314 806C JCB 806C Crawler excavator. Spare Parts Catalog. Service (workshop) Manual. Operator's Instruction Manual. 3700315 807B JCB 807B Crawler excavator. Spare Parts Catalog. Service (workshop) Manual. Operator's Instruction Manual. 3700316 807C JCB 807C Crawler excavator. Spare Parts Catalog. Service (workshop) Manual. Operator's Instruction Manual. 3700317 812 Super JCB 812 Super Crawler excavator. Spare Parts Catalog. Service (workshop) Manual. Operator's Instruction Manual. 3700318 814 Super JCB 814 Super Crawler excavator. Spare Parts Catalog. Service (workshop) Manual. Operator's Instruction Manual. 3700319 816 Super JCB 816 Super Crawler excavator. Spare Parts Catalog. Service (workshop) Manual. Operator's Instruction Manual. 3700320 818 Super JCB 818 Super Crawler excavator. Spare Parts Catalog. Service (workshop) Manual. Operator's Instruction Manual. 3700321 820 Super JCB 820 Super Crawler excavator. Spare Parts Catalog. Service (workshop) Manual. Operator's Instruction Manual. 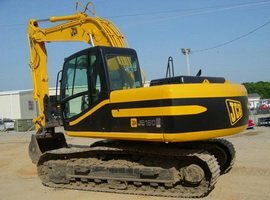 3700322 820D JCB 820D Crawler excavator. Spare Parts Catalog. Service (workshop) Manual. Operator's Instruction Manual. 3700323 822 Super JCB 822 Super Crawler excavator. Spare Parts Catalog. Service (workshop) Manual. Operator's Instruction Manual. 3700324 JS70 JCB JS70 Crawler excavator. Spare Parts Catalog. Service (workshop) Manual. Operator's Instruction Manual. 3700325 JS70 MONO JCB JS70 MONO Crawler excavator. Spare Parts Catalog. Service (workshop) Manual. Operator's Instruction Manual. 3700326 JS70 (R3) JCB JS70 (R3) Crawler excavator. Spare Parts Catalog. Service (workshop) Manual. Operator's Instruction Manual. 3700327 JZ70 JCB JZ70 Crawler excavator. Spare Parts Catalog. Service (workshop) Manual. Operator's Instruction Manual. 3700328 JS80 JCB JS80 Crawler excavator. Spare Parts Catalog. Service (workshop) Manual. Operator's Instruction Manual. 3700329 JS81 JCB JS81 Crawler excavator. Spare Parts Catalog. Service (workshop) Manual. Operator's Instruction Manual. 3700330 JS110 JCB JS110 Crawler excavator. Spare Parts Catalog. Service (workshop) Manual. Operator's Instruction Manual. 3700331 JS110 AUTO JCB JS110 AUTO Crawler excavator. Spare Parts Catalog. Service (workshop) Manual. Operator's Instruction Manual. 3700332 JS110 (R3) JCB JS110 (R3) Crawler excavator. Spare Parts Catalog. Service (workshop) Manual. Operator's Instruction Manual. 3700333 JS115 Auto JCB JS115 Auto Crawler excavator. Spare Parts Catalog. Service (workshop) Manual. Operator's Instruction Manual. 3700334 JS115 Auto Tier 3 JCB JS115 Auto Tier 3 Crawler excavator. Spare Parts Catalog. Service (workshop) Manual. Operator's Instruction Manual. 3700335 JS120 JCB JS120 Crawler excavator. Spare Parts Catalog. Service (workshop) Manual. Operator's Instruction Manual. 3700336 JS130 JCB JS130 Crawler excavator. Spare Parts Catalog. Service (workshop) Manual. Operator's Instruction Manual. 3700337 JS130 LC JCB JS130 LC Crawler excavator. Spare Parts Catalog. Service (workshop) Manual. Operator's Instruction Manual. 3700338 JS130 (R3) JCB JS130 (R3) Crawler excavator. Spare Parts Catalog. Service (workshop) Manual. Operator's Instruction Manual. 3700339 JS130 Auto JCB JS130 Auto Crawler excavator. Spare Parts Catalog. Service (workshop) Manual. Operator's Instruction Manual. 3700340 JS130 Auto Tier 3 JCB JS130 Auto Tier 3 Crawler excavator. Spare Parts Catalog. Service (workshop) Manual. Operator's Instruction Manual. 3700341 JS130 LC Auto JCB JS130 LC Crawler excavator. Spare Parts Catalog. Service (workshop) Manual. Operator's Instruction Manual. 3700342 JS140 JCB JS140 Crawler excavator. Spare Parts Catalog. Service (workshop) Manual. Operator's Instruction Manual. 3700343 JZ140 Tier 2 JCB JZ140 Tier 2 Crawler excavator. Spare Parts Catalog. Service (workshop) Manual. Operator's Instruction Manual. 3700344 JZ140 Tier 3 JCB JZ140 Tier 3 Crawler excavator. Spare Parts Catalog. Service (workshop) Manual. Operator's Instruction Manual. 3700345 JS145 Auto JCB JS145 Auto Crawler excavator. Spare Parts Catalog. Service (workshop) Manual. Operator's Instruction Manual. 3700346 JS145 Auto Tier 3 JCB JS145 Auto Tier 3 Crawler excavator. Spare Parts Catalog. Service (workshop) Manual. Operator's Instruction Manual. 3700347 JS145 HD JCB JS145 HD Crawler excavator. Spare Parts Catalog. Service (workshop) Manual. Operator's Instruction Manual. 3700348 JS145 LC JCB JS145 LC Crawler excavator. Spare Parts Catalog. Service (workshop) Manual. Operator's Instruction Manual. 3700349 JS150 LC JCB JS150 LC Crawler excavator. Spare Parts Catalog. Service (workshop) Manual. Operator's Instruction Manual. 3700350 JS150LC (R3) JCB JS150LC (R3) Crawler excavator. Spare Parts Catalog. Service (workshop) Manual. Operator's Instruction Manual. 3700351 JS160 JCB JS160 Crawler excavator. Spare Parts Catalog. Service (workshop) Manual. Operator's Instruction Manual. 3700352 JS160 LC JCB JS160 LC Crawler excavator. Spare Parts Catalog. Service (workshop) Manual. Operator's Instruction Manual. 3700353 JS160 Auto JCB JS160 Auto Crawler excavator. Spare Parts Catalog. Service (workshop) Manual. Operator's Instruction Manual. 3700354 JS160 Auto Tier 3 JCB JS160 Auto Tier 3 Crawler excavator. Spare Parts Catalog. Service (workshop) Manual. Operator's Instruction Manual. 3700355 JS180 JCB JS180 Crawler excavator. Spare Parts Catalog. Service (workshop) Manual. Operator's Instruction Manual. 3700356 JS180 LC JCB JS180 LC Crawler excavator. Spare Parts Catalog. Service (workshop) Manual. Operator's Instruction Manual. 3700357 JS180 AUTO JCB JS180 AUTO Crawler excavator. Spare Parts Catalog. Service (workshop) Manual. Operator's Instruction Manual. 3700358 JS180 Auto Tier 3 JCB JS180 Auto Tier 3 Crawler excavator. Spare Parts Catalog. Service (workshop) Manual. Operator's Instruction Manual. 3700359 JS190 JCB JS190 Crawler excavator. Spare Parts Catalog. Service (workshop) Manual. Operator's Instruction Manual. 3700360 JS190 Auto JCB JS190 Auto Crawler excavator. Spare Parts Catalog. Service (workshop) Manual. Operator's Instruction Manual. 3700361 JS190 Auto Tier 3 JCB JS190 Auto Tier 3 Crawler excavator. Spare Parts Catalog. Service (workshop) Manual. Operator's Instruction Manual. 3700362 JS200 JCB JS200 Crawler excavator. Spare Parts Catalog. Service (workshop) Manual. Operator's Instruction Manual. 3700363 JS200 LC JCB JS200 LC Crawler excavator. Spare Parts Catalog. Service (workshop) Manual. Operator's Instruction Manual. 3700364 JS200 (R3) JCB JS200 (R3) Crawler excavator. Spare Parts Catalog. Service (workshop) Manual. Operator's Instruction Manual. 3700365 JS200 Auto JCB JS200 Auto Crawler excavator. Spare Parts Catalog. Service (workshop) Manual. Operator's Instruction Manual. 3700366 JS200S Tier 2 JCB JS200S Tier 2 Crawler excavator. Spare Parts Catalog. Service (workshop) Manual. Operator's Instruction Manual. 3700367 JS200 Auto Tier 3 JCB JS200 Auto Tier 3 Crawler excavator. Spare Parts Catalog. Service (workshop) Manual. Operator's Instruction Manual. 3700368 JS210 JCB JS210 Crawler excavator. Spare Parts Catalog. Service (workshop) Manual. Operator's Instruction Manual. 3700369 JS210 LC JCB JS210 LC Crawler excavator. Spare Parts Catalog. Service (workshop) Manual. Operator's Instruction Manual. 3700370 JS210 Auto JCB JS210 Auto Crawler excavator. Spare Parts Catalog. Service (workshop) Manual. Operator's Instruction Manual. 3700371 JS210 Auto Tier 3 JCB JS210 Auto Tier 3 Crawler excavator. Spare Parts Catalog. Service (workshop) Manual. Operator's Instruction Manual. 3700372 JS220 JCB JS220 Crawler excavator. Spare Parts Catalog. Service (workshop) Manual. Operator's Instruction Manual. 3700373 JS220 CHINA JCB JS220 CHINA Crawler excavator. Spare Parts Catalog. Service (workshop) Manual. Operator's Instruction Manual. 3700374 JS220 HD JCB JS220 HD Crawler excavator. Spare Parts Catalog. Service (workshop) Manual. Operator's Instruction Manual. 3700375 JS220 XD JCB JS220 XD Crawler excavator. Spare Parts Catalog. Service (workshop) Manual. Operator's Instruction Manual. 3700376 JS220 Auto JCB JS220 Auto Crawler excavator. Spare Parts Catalog. Service (workshop) Manual. Operator's Instruction Manual. 3700377 JS220 Auto Tier 3 JCB JS220 Auto Tier 3 Crawler excavator. Spare Parts Catalog. Service (workshop) Manual. Operator's Instruction Manual. 3700378 JS235 HD JCB JS235 HD Crawler excavator. Spare Parts Catalog. Service (workshop) Manual. Operator's Instruction Manual. 3700379 JS235 Auto JCB JS235 Auto Crawler excavator. Spare Parts Catalog. Service (workshop) Manual. Operator's Instruction Manual. 3700380 JS240 JCB JS240 Crawler excavator. Spare Parts Catalog. Service (workshop) Manual. Operator's Instruction Manual. 3700381 JS240 LC JCB JS240 LC Crawler excavator. Spare Parts Catalog. Service (workshop) Manual. Operator's Instruction Manual. 3700382 JS240 (R3) JCB JS240 (R3) Crawler excavator. Spare Parts Catalog. Service (workshop) Manual. Operator's Instruction Manual. 3700383 JS240 Auto JCB JS240 Auto Crawler excavator. Spare Parts Catalog. Service (workshop) Manual. Operator's Instruction Manual. 3700384 JS240 Auto Tier 3 JCB JS240 Auto Tier 3 Crawler excavator. Spare Parts Catalog. Service (workshop) Manual. Operator's Instruction Manual. 3700385 JZ235 JCB JZ235 Crawler excavator. Spare Parts Catalog. Service (workshop) Manual. Operator's Instruction Manual. 3700386 JZ255 JCB JZ255 Crawler excavator. Spare Parts Catalog. Service (workshop) Manual. Operator's Instruction Manual. 3700387 JS260 JCB JS260 Crawler excavator. Spare Parts Catalog. Service (workshop) Manual. Operator's Instruction Manual. 3700388 JS260 XD JCB JS260 XD Crawler excavator. Spare Parts Catalog. Service (workshop) Manual. Operator's Instruction Manual. 3700389 JS260 Auto JCB JS260 Auto Crawler excavator. Spare Parts Catalog. Service (workshop) Manual. Operator's Instruction Manual. 3700390 JS260 Auto Tier 3 JCB JS260 Auto Tier 3 Crawler excavator. Spare Parts Catalog. Service (workshop) Manual. Operator's Instruction Manual. 3700391 JS290 XD JCB JS290 XD Crawler excavator. Spare Parts Catalog. Service (workshop) Manual. Operator's Instruction Manual. 3700392 JS290 Auto JCB JS290 Auto Crawler excavator. Spare Parts Catalog. Service (workshop) Manual. Operator's Instruction Manual. 3700393 JS300 LC JCB JS300 LC Crawler excavator. Spare Parts Catalog. Service (workshop) Manual. Operator's Instruction Manual. 3700394 JS300 (R3) JCB JS300 (R3) Crawler excavator. Spare Parts Catalog. Service (workshop) Manual. Operator's Instruction Manual. 3700395 JS330 JCB JS330 Crawler excavator. Spare Parts Catalog. Service (workshop) Manual. Operator's Instruction Manual. 3700396 JS330 XD JCB JS330 XD Crawler excavator. Spare Parts Catalog. Service (workshop) Manual. Operator's Instruction Manual. 3700397 JS330 XD AUTO JCB JS330 XD AUTO Crawler excavator. Spare Parts Catalog. Service (workshop) Manual. Operator's Instruction Manual. 3700398 JS330 JCB JS330 Crawler excavator. Spare Parts Catalog. Service (workshop) Manual. Operator's Instruction Manual. 3700399 JS330 Auto JCB JS330 Auto Crawler excavator. Spare Parts Catalog. Service (workshop) Manual. Operator's Instruction Manual. 3700400 JS360 LR JCB JS360 LR Crawler excavator. Spare Parts Catalog. Service (workshop) Manual. Operator's Instruction Manual. 3700401 JS360 XD JCB JS360 XD Crawler excavator. Spare Parts Catalog. Service (workshop) Manual. Operator's Instruction Manual. 3700402 JS360 Auto Tier 3 JCB JS360 Auto Tier 3 Crawler excavator. Spare Parts Catalog. Service (workshop) Manual. Operator's Instruction Manual. 3700403 JS450 LC JCB JS450 LC Crawler excavator. Spare Parts Catalog. Service (workshop) Manual. Operator's Instruction Manual. 3700404 JS450 JCB JS450 Crawler excavator. Spare Parts Catalog. Service (workshop) Manual. Operator's Instruction Manual. 3700405 JS450 (R3) JCB JS450 (R3) Crawler excavator. Spare Parts Catalog. Service (workshop) Manual. Operator's Instruction Manual. 3700406 JS460 JCB JS460 Crawler excavator. Spare Parts Catalog. Service (workshop) Manual. Operator's Instruction Manual. 3700407 JS460 Tier 2 JCB JS460 Tier 2 Crawler excavator. Spare Parts Catalog. Service (workshop) Manual. Operator's Instruction Manual.